Solar companies in Australia and abroad are dealing with increasing overheads at a time when demand is rising steadily. There are solutions available to support SME’s to do more with less; one of which is outsourcing. 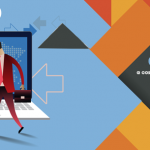 Outsourcing has been something that has, at times, had negative connotations attached to it, but the high quality and reliable work of companies such as Virtual Coworker has gone a long way to improving the perception and the efficacy of outsourcing as a realistic option. In a nutshell, outsourcing is the process by which tasks that have traditionally been provided in house are contracted to an outside company or worker with particular expertise in providing that service. 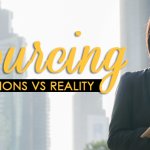 Essentially, if your business is lacking knowledge or experience in a certain area, or if you have specialised staff performing a large number of tasks outside their area of specialty, outsourcing could be a fantastic resource. 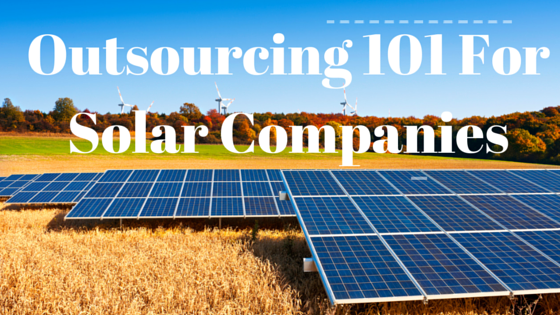 How can Solar Companies benefit from outsourcing? The most commonly identified benefit for Solar Companies in using outsourcing is around cost savings. Outsourcing data entry through Virtual Coworker, for example, could cost you as little as 7 AUD/hr, whereas a local specialist could cost around four times that amount. Another significant benefit is the improvement to working conditions for existing staff. If you have training or marketing staff, you obviously want them to be spending their time and focus on delivering training or marketing. We all know, however, that these staff often have to devote a significant portion of their time to administrative functions that support core business, rather than delivering the actual core business. This is not only a waste of valuable resources, but can also lead to job dissatisfaction. Outsourcing some of the administrative and famously boring tasks can therefore be a win-win situation. So, what can be outsourced? From $7 per hour, you can hire a bookkeeper, accounts receivable, or accounts payable worker from the Philippines. Our candidates will have experience in Xero, MYOB, Quickbooks and Australian accounting methods. This is important to the success of any business, no matter what size. Outsourcing research to a virtual assistant will help you to find objective and relevant information, analyse said information, and deliver the results in a clear format. This and also help your sales and marketing team identify new markets and prospective sales leads. Imagine all of the menial tasks you and your team do every single day. There is no reason you should be doing them yourself when you can get someone just as good for a fraction of what your time is worth! Think about delegating calendar management, scheduling appointments, researching flights and more. Managing leads, clients and milestones is critical to selling but can be extremely time consuming. A virtual assistant will save you time by managing new sales leads and your customer relationship management system, giving you more time to focus on generating additional leads and translating those leads into sales. Hire virtual sales assistants to help your current business development team maximize their time; which will lead to more client meetings and ultimately sales. Almost every business has some form of data entry component. It’s basic, process driven work that is one of the best tasks to outsource to a virtual assistant from the Philippines. Sorting through emails throughout the day is a mundane and time-consuming task. A virtual assistant can help to organise, sort, create folders, file, delete spam and manage priority mail on a daily basis. 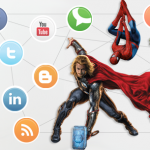 Hiring a virtual assistant to help with social media could end up proving invaluable. The best way to utilise them is to help out with postings, responding to comments, and scheduling posts. How do your ensure outsourcing will be a success? If you are interested in investigating outsourcing further, there are a number of things to consider ensuring that it will work well for your specific situation. It’s critical to have a crystal clear of the job or position you are looking to outsource. If you go through the process of finding staff with a vague idea of what exactly you need, odds are you won’t the perfect fit. If you’re after short-term or freelance workers, there are a number of websites you can go to hire people directly for small projects. 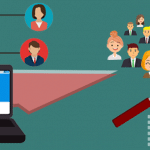 If you are after more of a long-term team member, companies like Virtual Coworker who handle all of the recruitment, HR and payroll are probably your best bet. Regardless of the route you choose, make sure you conduct video interviews, test their Internet, and ensure the person communicates well and seems dedicated and reliable. Making someone feel like part of the team goes a long way for motivation and productivity. Also, be especially detailed and clear in the instructions you give to your workers, as it’s easy for things to get lost in translation when working with virtual staff. Outsourcing can make for a happier workforce and significant cost savings, ensuring the focus remains on your core activities and that you have the right staff doing the right job. Managed correctly, outsourcing can play a large role in the future success of Solar Companies throughout Australia. If you’re interested to speak with an Australian representative on how this can work for your company, click here.